Did you know that BC egg farms produced over 84 million dozen eggs last year? And that not only are eggs a great source of low-fat protein with just 2 grams of fat and over 6 of protein per egg, but that they’re also filled with 14 essential vitamins, minerals and nutrients? BC Egg has a wealth of information about eggs, nutrition, and the connection between local farms and the eggs on your table to share with you! Visit us at booth #632 to learn more! BC Egg is a non-profit organization that oversees and manages the province’s egg farming industry. We work with approximately 136 family-owned and operated egg farms to bring the goodness of BC fresh eggs to your table. We oversee and manage the production, grading, packing, marketing and transportation of all regulated eggs in BC. 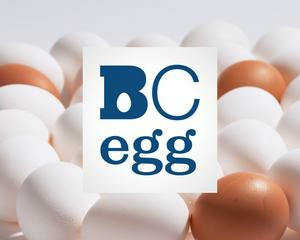 For more information about BC Egg, please check out our website at www.bcegg.com, or visit us at The Health and Wellness Show.